Alpha-linolenic acid (omega-3) occurs primarily in green leafy vegetables, soybeans, spirulina, and walnut, canola and flaxseed oils. 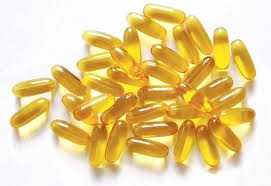 Its derivatives, eicosapentanoic acid (EPA) and docosahexanoic acid (DHA), occur naturally in fish and are especially abundant in fresh, naturally-fed, cold water varieties (most farmed fish are fed low omega-3 diets and therefore have little EPA/DHA in their tissues). 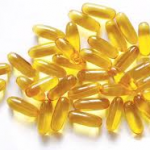 Gamma-linoleic acid (GLA) found in hemp, borage, black currant, and evening primrose oils belongs to the omega-6 family, but has an almost identical chemical structure to alpha-linolenic acid (omega-3) and is therefore beneficial for many of the same purposes. 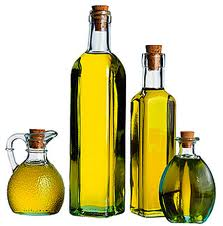 Research has shown that taking olive oil (oleic acid) and fish oils (EPA and DHA) for two months reduces the frequency, duration and severity of migraine headaches in adults and adolescents. The dosing used in these studies was about 4-5 Tbsp. 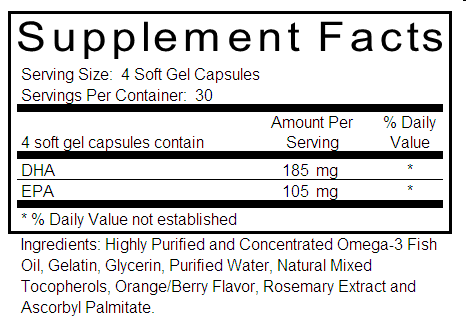 of olive oil (1382 mg oleic acid), 756 mg EPA and 498 mg DHA per day. 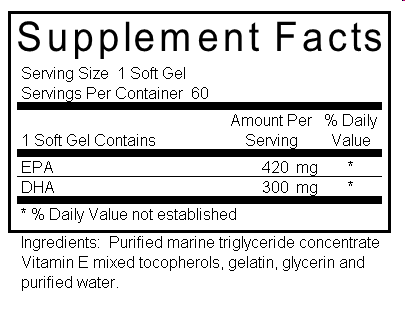 Looking at this label, we see that a serving is four soft gels and that each serving contains 105 mg of EPA and 185 mg of DHA. 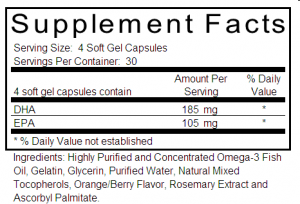 That means that in order to get the recommended amount of EPA + DHA (at least 1300 mg) we would have to take 20 softgels daily! 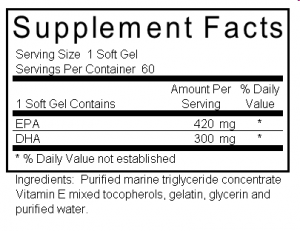 The price tag on Fish Oil B is less than Fish Oil A, but you need to take 10 times more in order to get amount of EPA and DHA to reduce your headaches. So you can take Fish Oil A and take one of these twice daily OR you can take Fish Oil B and take this many fish oil capsules daily. Which would you choose?